Looking to Get Involved and Connect with your community?? Want to connect and get involved with your Netivot Shalom community? Sunday, June 15th, 2014 at our home on University Avenue. When was the last time you had a simcha that was celebrated at CNS? Have you recently celebrated a birthday, anniversary, birth, or perhaps a new job? These and other life events are wonderful occasions to financially support our home. Amounts don't matter, because every dollar counts. You can make a donation by clicking here! Although we have posted the job description (click here for the job description), we need your help getting the word out about this amazing opportunity! Please distribute the job description to your friends, family, colleagues, or professional/social groups! Feel free to email the search committee at cnsedsearch@gmail.com with any questions or job inquires. Announcing our 2014 CNS Nominating Committee!! The Board of Director's is proud to announce the 2014 CNS Nominating Committee! Please make a point of saying hello to the committee! What's the nominating committee, you ask? The nominating committee works to find people who are ready to deepen their involvement with the community and step into some of the formal leadership roles that help keep our community running and thriving. The committee is charged with proposing a slate of candidates for all open leadership positions. The slate will then be voted on at our annual meeting in November. You can email the Nominating Committee at cnsnominating@gmail.com. Stepping into a leadership position is a great way to get more engaged with the community, and can be deeply rewarding. There are positions for a variety of skill sets. We also welcome questions from people who would like more information, or who are contemplating throwing their hat in the ring but are not yet sure. The slate of open positions will be published shortly. Congregation Netivot Shalom Preschool in Berkeley is seeking Experienced Preschool Teachers! - Detailed teacher job description here. Job begins August 25, 2014 with possible summer hours. Our warm, family-friendly school is looking for experienced preschool teachers with at least 12 units in ECE. Our two-classroom school serving 30 children is in need of individuals who are familiar with emergent, project-based curriculum. This teacher will work with other preschool staff to create a play-based environment that weaves Jewish content and Hebrew language throughout the daily program for children ages 2-5. Hebrew speaker a plus. Benefits include health and disability insurances, paid personal/sick and vacation days, as well as federal and Jewish holidays. Please send cover letters and resumes to Lauren Kindorf, CNS Preschool Director at preschool@netivotshalom.org. The ancient promise of a just society is a command that should ache in our hearts as we gaze upon the effects of our own political indifference. Turning away is the very worst kind of redistribution: a callous mis-allocation of the human capacity to do the right thing. We ask for Your help tonight. Help us remember to see Your Image reflected in the faces of every human being. Inspire the work of our leaders to love You by loving each other, to honor You by honoring those most vulnerable in our world. We are united tonight, acknowledging that every voice on every side of every issue is obligated as one to start the work of ending our systemic empowerment of abusive, faceless corporations, to continue the work of healing our nation from pervasive economic inequality, and to do everything in our power to eradicate interpersonal indignity, wherever it continues to exist within our legal tradition. Please, Eternal One, imbue our halls of law and our halls of justice with righteous egalitarianism, with equal justice and protection, with compassion that overpowers greed. Remind us, Source of Life, that people living in capitalist societies are called to use moral language like "obligation" and "responsibility" as fundamental aspects of business plans. Give us the strength to keep fierce feeling alive in our souls. Justice work can be exhausting, leadership can be distracted, and we can too easily feel shut down by the weight of the world on our shoulders. But we know, Dear God, deep in our souls, that this burden we are blessed to share with You. We know that we are responsible. We wish to be so blessed. Grace us, God. Please. We need more hope than ever so that we can achieve justice for more people than have it today. We ask You, God, to support elected officials, religious leaders, and business owners alike, gay and straight alike, atheists and faithful alike, as we aim to dignify the rich and the poor - alike. Right here and right now, with each other as witnesses, we pledge stand as part of the sacred effort. May this year be a better one throughout this Nation, and throughout Your Creation, thanks to the actions You call upon us to take on behalf of the most vulnerable, each one a sparkling, dignified reflection of You. Our courage is most manifest in the endurance of our prophetic voices. We're in this for the long haul, called to shout, post, preach, and act until this destruction is cured. The NRA is built to last. But their mission is young compared with the Prophets'. Come explore a Talmudic text dealing with the qualifications for leadership! Does wealth matter? Pedigree? How 'in-touch' should we expect leaders to be with the 'real lives' of their constituents? What happens when a failed leader learns? Is there room for growth and forgiveness in politics? To the many people I know (and many I do not) who have reached out in support, thank you, thank you, thank you. Given the fast-paced and rhetoric-laced tenor of so many Israel-related conversations, it can become hard to know if anything helps. But here's what I believe: it's better than most people think. I'm currently working on a longish HuffPo piece sharing my reflections post-AIPAC, and while I'm not interested in engaging with the Dershowitz experience, it has also provided a beautiful context for what is already happening. As one friend, Hillary Chorny﻿, put it: "When you speak out of love for Israel, [it] isn't left or right: it's straight-up holy." I believe that the emerging conversation is a holy one, that Zionism is bigger than politics, and that the Jewish capacity for debate is only growing. To those who disagree, I can only say this: We spend too much time screaming about not being heard. Speak your heart's truth to build a better Israel. Everyone is listening, and time's awasting. $3.8 million in the last twelve months, while individual Ramah camps and Israel programs have raised $7.8 million for scholarships, endowments, capital development, and program innovation. Ramah Service Corps - Twenty-eight young adult Ramah staff leaders bring the magic of camp into congregational and community life year-round through part-time and full-time initiatives across North America. These leaders also serve as outstanding camp recruiters and are encouraged to consider careers in Jewish leadership. Reshet Ramah Alumni Initiative and Community Engagement - The Reshet Ramah alumni network is extending the Ramah experience into adulthood among thousands of alumni through a wide range of programming, social and professional networking, Jewish learning, travel, and online connectivity, including the Ramah365 app. Young Adult Leadership Development - Four new cohorts of 85 exceptional young adult leaders convene regularly for retreats, professional development, online learning and discussion, and the creation of Ramah movement-wide projects such as "Shabbat Across Ramah." Special Needs Programs - Building upon more than 40 years of successful Tikvah programming, Ramah camps are offering more options for campers and staff with disabilities. In addition, the National Ramah Tikvah Network is offering new national training programs for staff working with campers with disabilities and their families. Ramah Israel - New programmatic developments include expansion of the inspirational TRY spring high school semester in Israel program to include a fall semester and integration of a weeklong trip to Poland into the curriculum. Ramah Israel Seminar for teens is offering a new track of outdoor adventure, and both TRY and Seminar have a significant increase in the availability of scholarship funds. As we continue to secure more funding to strengthen and grow our camps and expand Ramah camping, we take great pride as recipients of these gifts and this investment in Ramah. As demographic studies consistently demonstrate, Ramah camping is one of the most effective means of building Jewish identity. We believe that the unique religious, educational, and recreational programming at Ramah is a proven formula for success. We are pleased that so many funders recognize the outstanding success of Ramah and are investing in our future -- the future of the Jewish people! The Ramah Berkshires annual fund raised more than $550,000 in 2013. In addition, the Och/Kalver/Halbright family made a generous lead gift towards the renovation of the camp's Bet Am Bet theater. The camp continues to grow its Yerusha legacy society, which now has 124 members, and has significantly increased its outdoor adventure programming, including more back-country hiking trips and a high ropes course. Ramah California's Hayom U'letamid Initiative (accessibility in perpetuity), an effort begun in early December 2013, has raised over $2.75 million for an endowment dedicated to financial accessibility (lead donors: Marc & Julie Platt and Lou & Judy Miller). New funding will also help expand programming options for younger campers and provide resources to significantly increase teen opportunities for outdoor adventure. Ramah Canada received a generous gift from the Harold and Carole Wolfe family in honour of Ab Flatt's 85th birthday towards the construction of a new 2.2 km adventure course through 200+ acres of land, paving the way for the introduction this summer of Etgar Ramah ("Ramah Challenge"), a new program that features biking and hiking for all age groups. Ramah Darom, now entering its 18th "chai" year of operation, has raised over $1.1 million in the last six months for its annual fund for capital development, as well as to support Camp Yofi, its inspiring family camp program for families with children with autism. Fifty-five people have joined the Mapal legacy society to help secure the camp's future. Ramah New England has raised more than $700,000 toward a new chadar ochel since the summer. In addition, a lead grant from the Harry and Jeanette Weinberg Foundation of Baltimore, Maryland, will allow the camp to upgrade and expand its Tikvah vocational training program, Tochnit Avodah. This program enables young people with disabilities to gain employment experience and training in a summer camp setting. Ramah Day Camp in Nyack has raised more than $500,000 in recent months, including a $250,000 lead gift from the Zinbarg family towards a major kitchen renovation project and a $125,000 gift from the Rosen family toward the building of an air-conditioned gym. A generous gift from the Areivim Philanthropic Group supports the new Sha'ar Hebrew immersion program for entering kindergarten and first-grade campers. Ramah Outdoor Adventure at Ramah in the Rockies has raised approximately $1 million this year, including a lead gift to build a new retreat center and staff housing complex and $100,000 to support need-based assistance, especially for middle-income day school families who need financial assistance to afford camp. Ramah Poconos has raised more than $500,000 in new investments this year, including funding to launch a new Tikvah program in future summers, a very successful annual campaign and tribute dinner, and a $50,000 endowment to support staff programming. Building on the success of the Ramah Basketball Academy, the camp has partnered with Julian Krinsky Camps to offer the Ramah Tennis Academy this summer. Ramah Wisconsin has received a $1 million challenge grant from the Harvey L. Miller Family Foundation. The camp also received a grant for annual programming from the Zell Family Foundation, a grant for scholarships, staff training and Tikvah programming from the Crown Family, a $28,000 Signature Grant from the Covenant Foundation to enhance theater arts programming, a grant from the Foundation for Jewish Camp to support scholarships for campers from small communities, and grants to explore the spirituality of girls and women in the egalitarian camp setting and to partner with Mechon Hadar in a winter yeshiva learning program. Ramah is the camping arm of Conservative Judaism. Together, our programs provide Ramah experiences for 10,000 children, teens, and young adults annually. The National Ramah Commission of The Jewish Theological Seminary provides oversight and educational planning on behalf of the network of Ramah camps throughout North America and Israel. Yesterday, I shared on my blog an open letter to Professor Alan Dershowitz, after hearing from a friend that he had heard Dershowitz publicly refer to me as a “leftist pacifist.” I reacted by articulating the nobility of the leftist, pacifist Zionism that I espouse. I accused Dershowitz of conflating my social progressive voice with an attack on Israel and of wielding Jewish ideals like weapons. To my surprise, Professor Dershowitz emailed me in response to my letter, denying mentioning me, and accusing me of defamation. While I know that what I wrote was a defense of my own character and not defamation, his denial that he did not say what was reported is much appreciated. I have deleted the blog entry of the original letter, and I appreciate his clarification. I believe in the transformational power of the synagogue. I am a rabbi who feels called to enhance the resilience and strengthen the soul of this form of Jewish communal center. New forms are amazing. So should shuls be. This delightful children's book about Passover is a rhyming kids' companion for the seder! Illustrations by children accompany a text that explains while it entertains! Shemini #ParshaTweet: The impact of sacred fire, good and bad, depends upon healthy, careful giving & receiving. 1. Where "shalom" is in our name because a war we started in our old congregation led to a breakaway. 2. If you have to ask, it's assur/forbidden. 3. Welcoming all kinds of Jews--with incomes of $250K plus. 4. Where our rabbis are so odd, you'll feel normal by comparison. 5. So much frummer than the apikorsim down the street. 6. Whatever we are, it's definitely not Orthodox or Reform. 7. We're so kosher, we only serve water at Kiddush. Just to be safe. 8. Gayer than your mother's hairdresser. 9. Reconstructing Judaism one misogynist xenophobic insanity at a time. AJWS Presents The Greatest Silence: Exciting Guest Speaker Addition! Exciting announcement: we are thrilled to announce the addition of special guests Nyota Babunga, AJWS Grantee Partner, and Leonie Wangibirwa, Congolese Sexual Assault Counselor! Rabbi Gary Creditor: "A Sermon on Handgun Control and Violence and the Megillah"
Would You Let Your Children Read the Megillah of Esther? Would we let children read this book? Would we merrily dance around in costumes? Would we make this holiday such happy holiday? You all know that I will be dressed up in costume tomorrow night and we will be as raucous as possible. At the Purim dinner we will sing some traditional yet silly songs. This is our normal modes operendai for Purim. But perhaps it is the reflection that age allows, or because of issues about our society today, as I have been reading and rereading the Megillah that I hear episode after episode of extreme violence. It is a loud subtext of the Megillah. There is violence towards bodies, violence towards women, violence against children, violence towards Jews and violence towards Persians. This is the story about a very bad, violent and malevolent society. The Megillah of Esther, far from being a silly children's tale, is a very adult book, a clarion warning about violence and what it does to society. 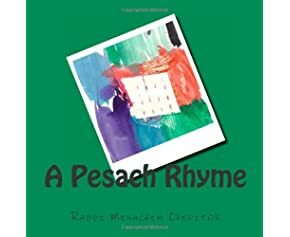 The Jewish observances that stem from, that are included at the end of the Megillah for no real rhyme or reason shows the radically different Jewish view. On this Shabbat, Saturday and Sunday, synagogues and churches around the country are dedicating themselves to reflect on the issue of handgun violence and the need to control the sale of arms and lessen the violence in our society. It is an epidemic that must be addressed. Though other issues come to the fore, if we forget about and ignore the issue of handgun violence, we really do it at the peril of lives. Reading Megilat Esther is most appropriate on this Shabbat. The Megillah says that in the third year of Ahashverosh's reign he made a party and they drank for 180 days. After Esther was chosen as queen, he made another party. When Esther evolves her plot to save the Jews she throws two parties for Ahashverosh and Haman. Now they were certainly not drinking sarsaparilla! Regardless of historical inaccuracies, the Megillah reports a society that abused their bodies through alcohol. And we know that intoxication goes hand in hand with other forms of violence, whether it be physical, sexual or with guns. We usually make light about Vashti and her role in the plot. But when we read the Megillah it is clear that it portrays the subjugation of women in the Persian world. After all, if you can do this to the queen, you can do this to any woman. Vashti was not invited to a grand ball. She was commanded to appear naked in a scene that superseded the Roman debaucheries. Though it allowed Esther to enter the story, it is important to listen to her voice too, that she is also subjugated to a drunken tyrant. Esther was also subject to death for appearing without proper summons and authorization. It is absolutely clear that the women were opportune for violence and abuse. Haman's degree to exterminate the Jews was all inclusive, "from young men to old, babies and women." We can look at this from both sides. We do not have to imagine the impact of genocidal violence upon children for there is sufficient literature from the Holocaust. But in Persia this was to be hand-to-hand combat and slaughter. Can you imagine what Haman had planned? The violence against children destroys the last shred of humanity. Several times the Megillah alerts us to this degradation of the society of perpetrators, not only of the victims. The climax of the Megillah is the actual battles between the Jews and Persians. The latter thought that they were going to murder defenseless prey and instead confronted a seriously armed camp. How many Jews died? We don't know. There had to be some amount of casualties. How many Persians died? Ignore the hyperbole and the questionable historicity. On the first day in Shushan there were 500 dead plus Haman's ten sons. On the second day in Shushan they killed 300 more. In the rest of the country they killed 75,000. And then they publicly hang Haman's ten sons. And we sing and dance and make sounds with groggers while we recount all of these deaths, no matter how righteous in self defense it was. Shouldn't we read it in subdued voices? Shouldn't we discuss how to tell this to children? Do we really want to advocate for a violent society? I can present the Megillah in many different ways. Surely I wish the Jews of Europe could have defended themselves, like the Jews of the Megillah, before, during and after the Holocaust. My point of reference in this sermon is singularly focused on us, the readers of the Megillah, the revelers in the story and its projection of violence. This text is filled with violence against bodies, against women, against children, against Jews against the Persians, and by extension, against us too. We become desensitized to violence when we read this over and over and take the violence for granted, don't even bat an eyelash at the numbers of the dead, don't flinch at the threat to men and women, babies and children. And if this is true about the Megillah, then it is certainly true about violent video games and the plethora of violent images on television and cable networks, in music and in art. The campaign to diminish gun violence is not just about guns, it is about all forms of violence, it is about our vision of society and of the world. They need to shape a different image where people are respected, where each human being is considered sacred, where life is holy and thus cherished and not threatened nor destroyed. Whatever laws need to be enacted, do so. Whatever curriculums need to be written, write them. Whatever reforms of social exposition need to be implemented, change them too. Somehow we need to create a kinder, gentler, more respectful society. The end of the Megillah gives us a clue. There are two mitzvot created in the ninth chapter, mishloach manot and matanot l'evyonim, gifts to each other and gifts to the poor. There is no hint to why these behaviors are instituted. They don't connect to the plot. But maybe, just maybe they are created to be the antidote to violence. We give food gifts "each person to his neighbor" and other gifts to the poor. We break down the walls that separate us. We behave with mercy and kindness, even love to each other, and those we don't know. That is how to diminish violence in the world – change how we think about each other. That is what Isaiah was dreaming when he spoke about breaking weapons into plowshares, instruments to feed the world instead of killing. Just maybe…. "Once in the days of King Ahashverosh.."
Shabbat Shalom and Chag Purim Sameach. Netivot Shalom is learning Mishnah! Announcing: The Netivot Shalom Mishnah Project!